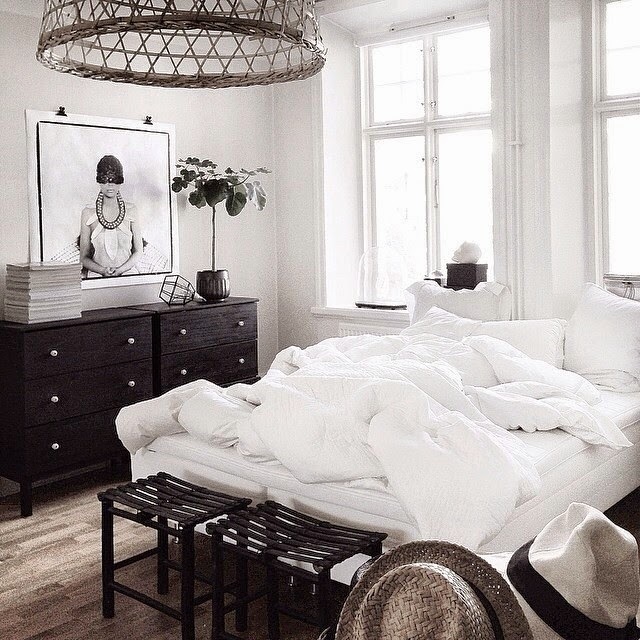 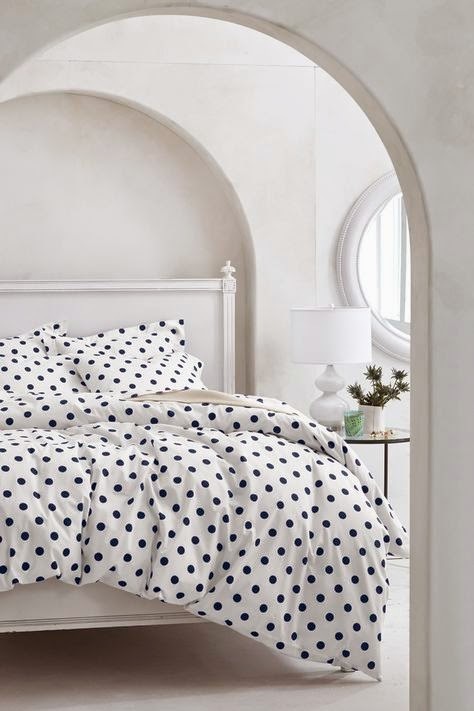 There’s something intriguing and magically beautiful about a very plain but classy bedroom. 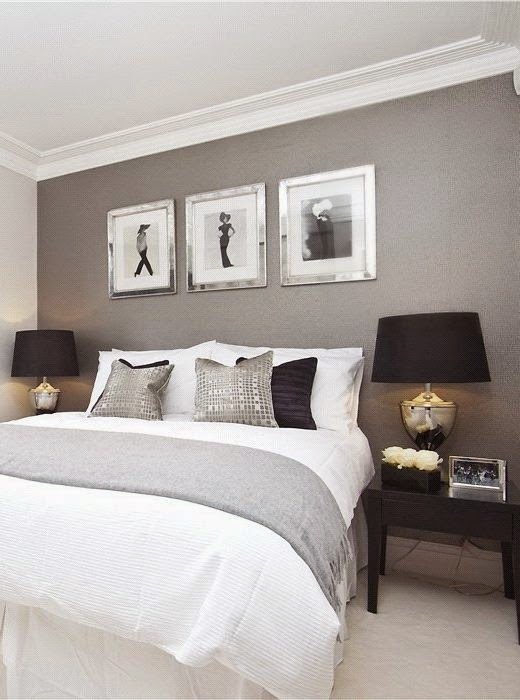 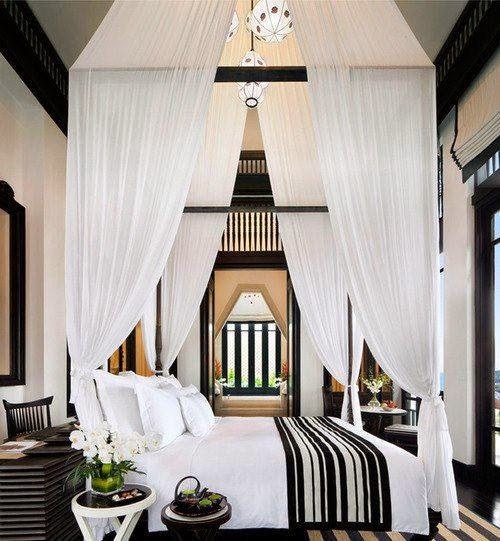 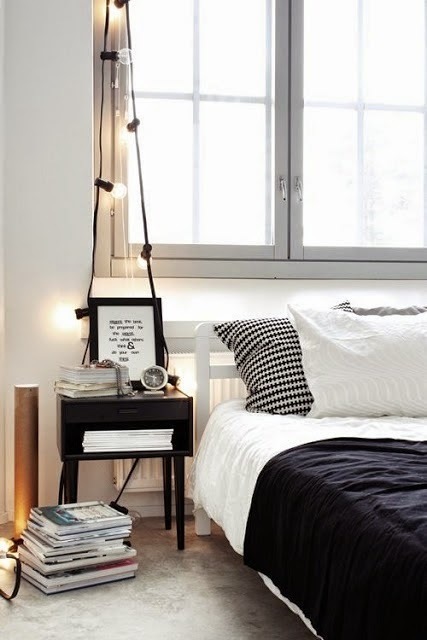 This look can easily be achieved by using the colours black and white to decorate your bedroom. 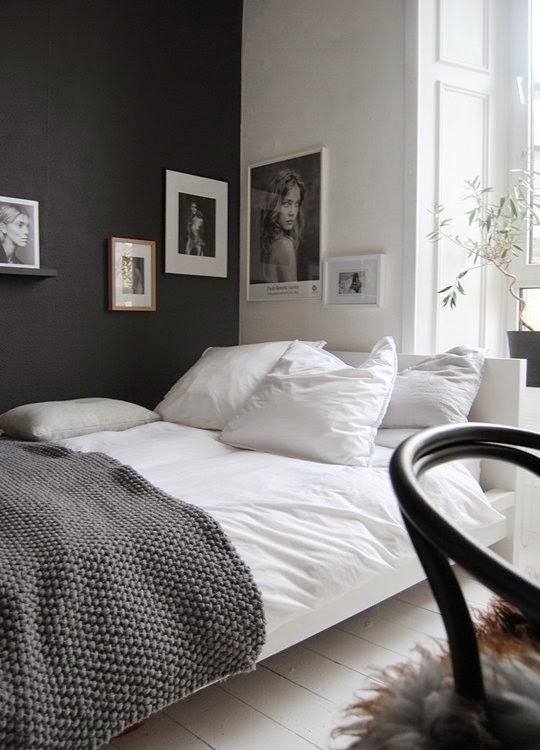 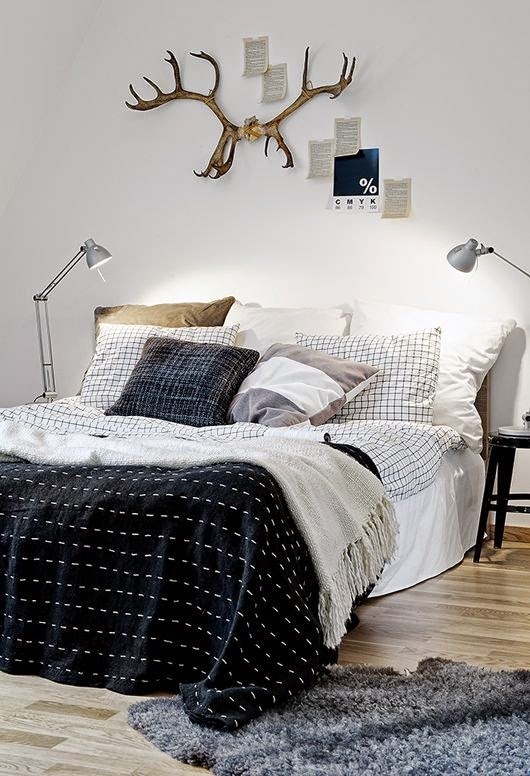 White walls with black accents implemented through accessories such as cushions, fabrics or lampshades can evoke a Scandinavian romantic look. 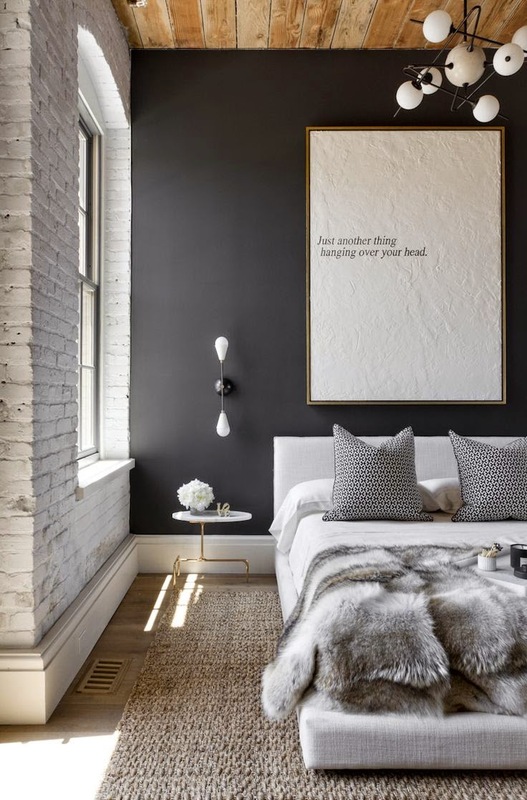 A black wall can add an interesting focal point to a bedroom and this can be complemented with neural coloured fabrics and accessories. 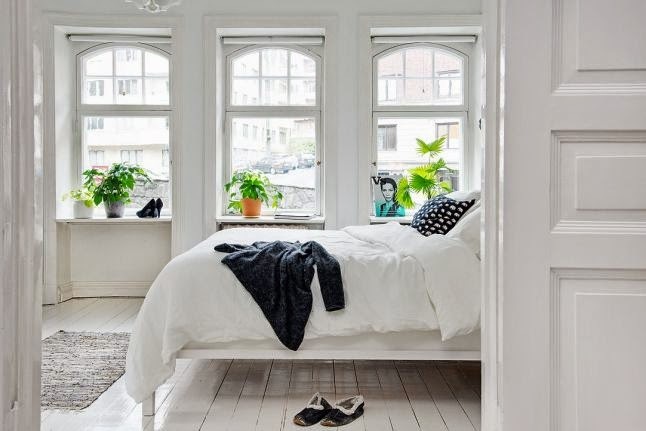 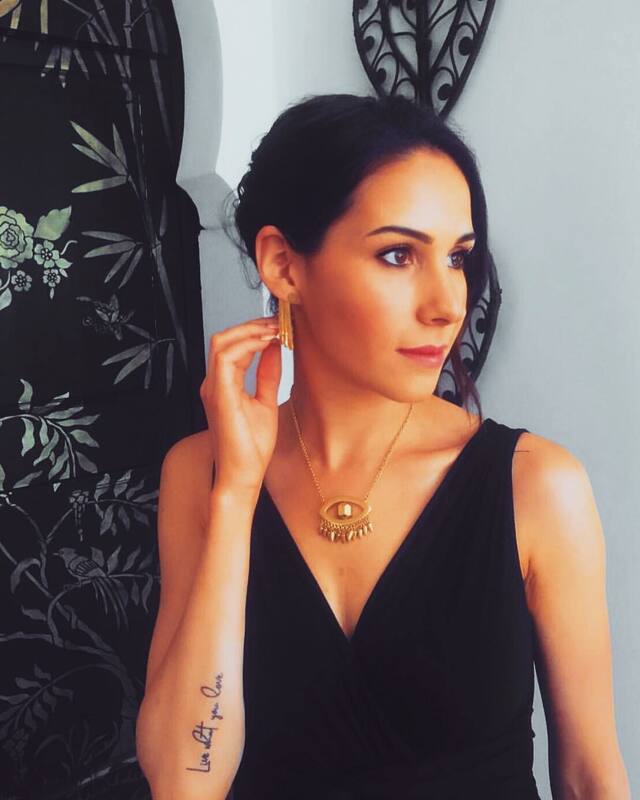 It’s both timeless, classic and very beautiful.